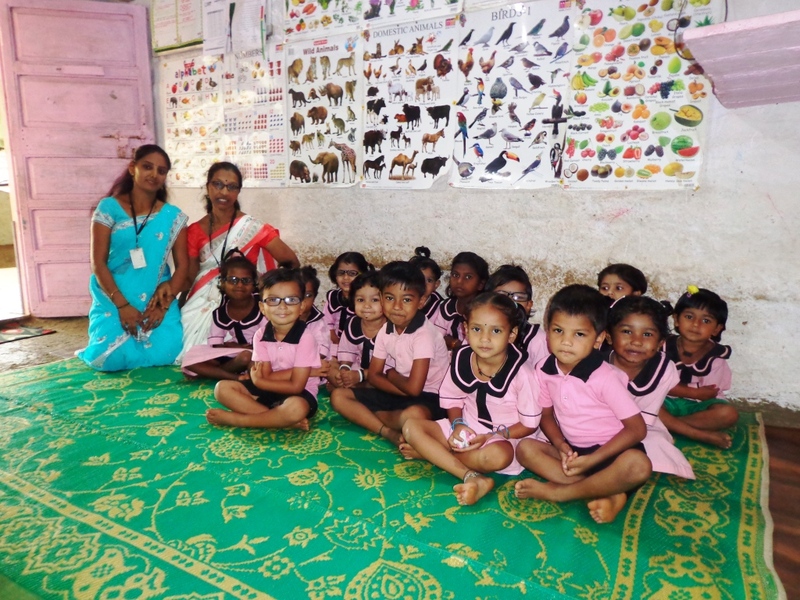 Recently, the Community Health project team had organised a free eye-checkup camp for the preschool education centres in the last week of January. During this checkup camp, 26 children were identified having refractive errors, which can be corrected by using prescription spectacles. These prescription spectacles were them made ready and distributed to all the 26 students recently. 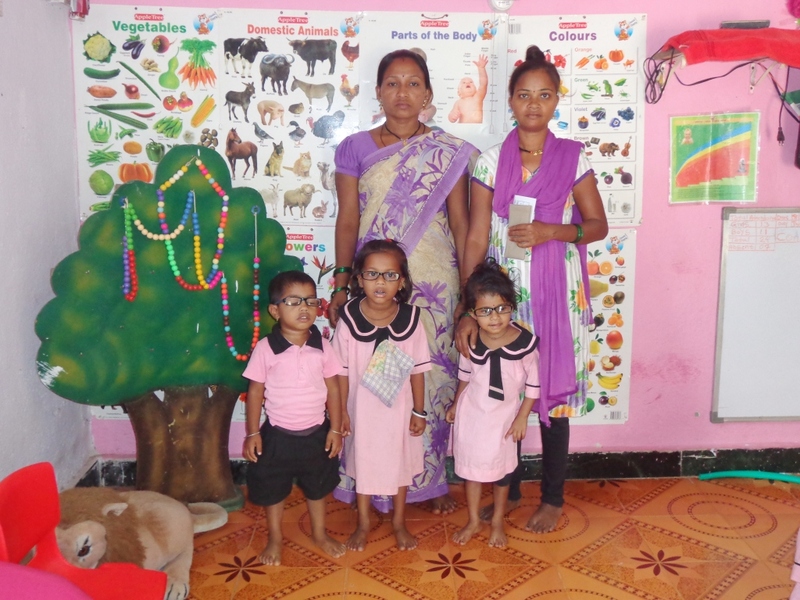 These spectacles are made with softer and lighter materials so as the children feel comfortable using them and the changes of them breaking is reduced. 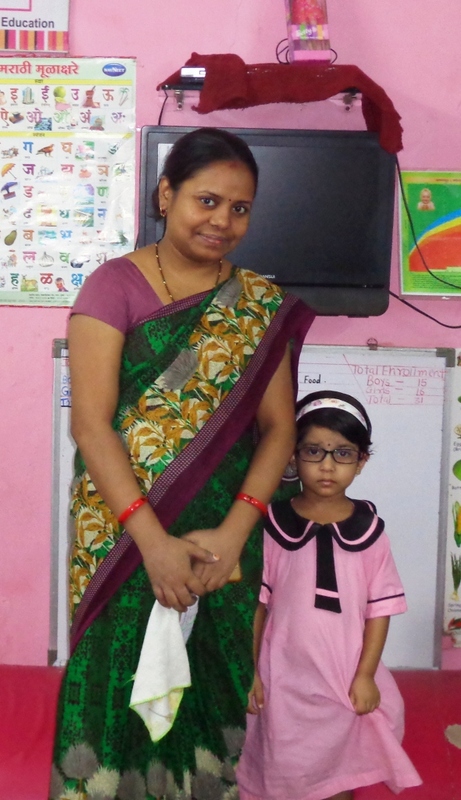 At early stages, with regular usage of these spectacles, good exercises and better diet, students with minor errors can also be cured and this was explained to the parents during distribution of the same as well. This activity was made possible with the support of Aditya Jyot Foundation, which first conducted the free eye checkup camp and then also made these spectacles for the children. In addition to these 26 students, there were some other students who need further testing done to determine the severity of their eye problems and that process is underway currently. We are thankful to Aditya Jyot Foundation for this and we hope these spectacles help the students!